"I want to put an ISO image file onto my USB drive, but have no idea on how to do it. Could I just directly copy and paste the ISO image file to my USB? Or need I use some special ISO to USB burner tools?" Many people may have the same question. Some people may want to burn ISO to bootable USB while some others only want to copy ISO to USB for storage. Therefore, the situation varies upon different needs. This post would show you how to burn an ISO to USB drive or/and copy ISO to USB flash drive for data storage only, rather than creating ISO to bootable USB flash drive. Hence, you may need to make clear before you decide to continue reading it. USB drives are data storage devices that have flash memory and a universal serial bus (USB) interface, which is a standard interface that is used in most computers and many other electronic devices. It is important to know some of the differences between flash drives and hard drives. 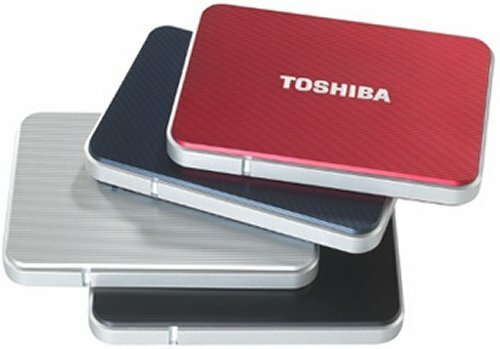 A USB hard drive is an external hard drive that connects with computer via USB. It uses the same design as an internal hard drive, except comes in an external casing that protects the drive. The case also includes a USB interface, which allows you to connect the drive to your USB port using a USB cable. Most USB hard drives require a USB 2.0 connection, since USB 1.1 does not have a fast enough data transfer rate to be practical. 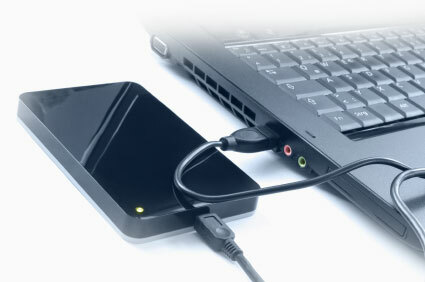 External DVD/Blu-ray recorders could be considered as USB hard drive as well. A USB flash drive, sometimes called a keychain drive, pen drive, key drive, and memory key, also connects to the USB port on your computer. Unlike a USB hard drive, a flash drive is a "solid state" device, meaning it has no moving parts. The data is stored electronically, using millions of small gates that have a value of 1 or 0. Hard drives store data using spindles of disks that spin thousands of times every minute. A USB hard drive is relatively heavy and about the size of one’s palm. USB hard drives are usually composed of a roving head that reads data as well as several spinning platters. A USB flash drive, on the other hand, is very small, about the size of a thumb, which is why they are also called thumb drives. A thumb drive is a solid state storage drive, which means that it has no moving parts and, therefore, is less likely to fail. Because flash drives are so small, they use almost no power, which can help extend the lives of laptop batteries. So you have an ISO file that you want it on a USB flash drive or some other USB storage devices. What would you do to burn an ISO to USB or copy this ISO file to USB drive? Actually, burning ISO to USB drive is not difficult at all. You only need to make clear what you want to do – either burn ISO to USB hard drive or copy ISO to USB flash drive. Burning ISO to USB drive is quite similar to burning ISO to DVD disc, while copying ISO to USB flash drive is a little bit different. The below solutions would show you how to burn ISO to USB drive in details. You could directly copy ISO to USB drive to save ISO image files on a USB drive or transfer ISO image file from one computer to another. 1. Plug USB flash drive into USB port. Computer would automatically detect it and install USB drive if it’s not installed. Make sure your USB flash drive gets enough space for storing ISO image file. 2. Locate source ISO image file, right click it and then select “Send to” option to send it to removable disk. Or directly copy source ISO image file and then paste it to USB flash drive. Besides the abovementioned solution to copy ISO to USB drive through direct copy-and-paste, for burning ISO to USB hard drive of external DVD/Blu-ray recorders, you could make use of some 3rd-party ISO burner programs. These ISO burner software would help you keep all content in source ISO image file for burning to CD, DVD or Blu-ray disc so that you could then play back the burned CD/DVD/Blu-ray discs freely on CD/DVD/Blu-ray discs. Check the below guide to learn how to burn ISO to USB hard drive. Click the below download links to free download and install Leawo DVD Copy on your computer. After these things well prepared, check the following steps to learn detailed operation on burning ISO image file to USB hard drive on your computer. 1. Connect USB hard drive to computer via USB cable. Computer with automatically detect it. 2. 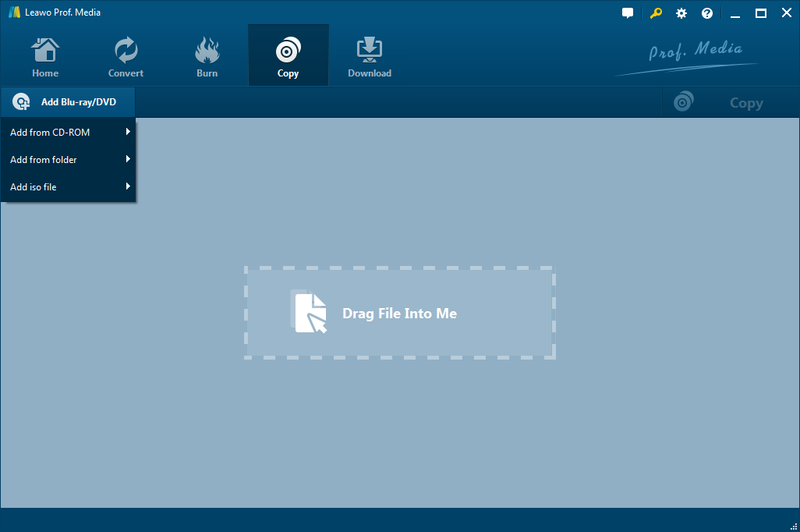 Add source ISO file by clicking the Add Blu-ray/DVD button and selecting Add iso file option. 3. Set the USB hard drive as output in Save to option. 4. Click the Copy button to start burning and copying ISO image file to USB hard drive.